Do you know what's amazing? The internet. The internet has the power to make magic happen - trust me, I've seen it with my own two eyes. It can connect people with each other allowing us to create and share some amazing things. That's what I'm asking for some help with right now. My name is Vic Iddstar Hill and I'm an artist and storyteller. I make comics like Flightless Birds and Unchronicled, and I do digital artwork that you can find in a variety of places all over the Internet (particular Twitter and Instagram). I've got a million stories to tell and, like most creatives, being able to dedicate time and resources to do it is a constant challenge. So, what are you supporting? But wouldn’t I be doing that anyway? Why do I need the support? Taking on commissions helps fund my creative work but takes up a lot of my time. Patreon will allow me to do fewer of those and more of everything else. Funding will help pay for resources like better software for creating stuffs, hardware for creating better stuffs, and hosting fees for all the ways and places I share all the stuffs. Moar funding will mean I can travel and come meet you all at conventions and bring the stuffs to a town near you. Long term, I would love to reduce my day job working hours, so I have EVEN MOAR time to do all the creative stuffs, but like, I gotta keep the lights on dude. 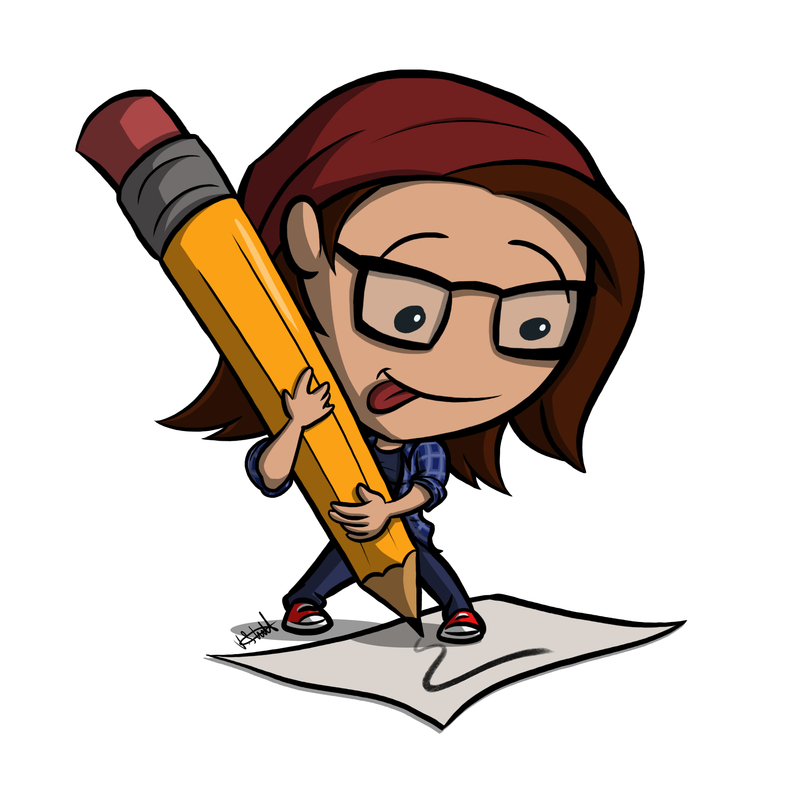 In return for your incredible support, I’ve put together a few different reward tiers with access to previews of creative stuffs, pdfs, tutorials, polls, requests and Q&As. Take a look at the current reward tiers at the side of the page for full details. Not only that, as a thank you just for pledging your support, I’ve got a free digital sketchbook pdf ready for you to download right away. 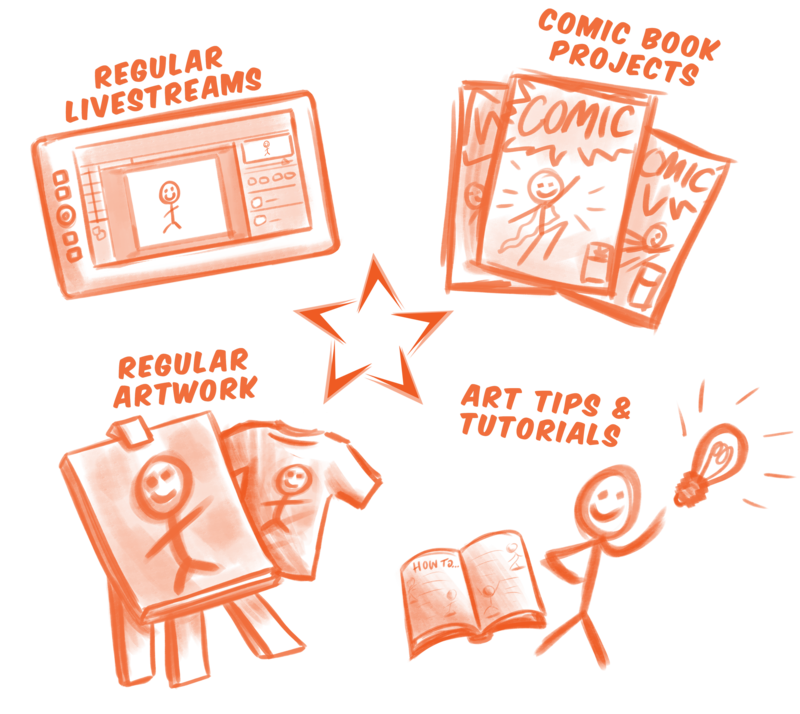 ~ my Patreon activity feed with early access looks at art, videos, podcasts and project work. ~ the chance to make requests and and ask questions for tutorials, art tips and Q&A content. A couple of minor upgrades to my hardware set up will mean I can improve the quality and ease of my audio recording to support better podcast and tutorial content.